The fabric is ah-mazing. I love the quirky colors (my favs)! Oh yes, I definitely see using these for some projects. Thanks for the opportunity to win some stash of this great line!! Love the fabric which would be fun to play with. These fabrics are beautiful! Thanks! I really like this collection! The prints are great. You did a great job on your quilt. Thanks for sharing and for the giveaway. It would be great to work with. What fabulous fabrics. I can’t wait to visit a shop that have them. Maybe I will win some. I love the mix of colours and prints in this line!!! It would be fun to play with this fabric, thanks for the chance!! Definitely interesting and good use of the fabric. These fabrics are really cool, I love the strength they have. They make very striking pieces when sewn up. Love these fabrics. The inner sashing really make the quilt. Love the birds, dots, vines…the whole line. Great nine patch quilt. Love this fabric line. I have to have it! Beautiful. Also, 9patch is my favorite to play with. Yours is so fun, loved all the 9 math, I never learned that about adding the numbers! Fun. Btw, it is the only table I memorize sand still know! Fun with math! Beautiful fabrics and the colors are just perfect. The artistry is very energetic and graphic with a whimsy touch. Thanks. Such beautiful colors and designs! And I love the 9patch – what a neat idea! I love this quilt. Great colours! Love Melanie and love these fabrics! I hope I win! Love the fabrics ! Neat quilt ! Thank you. Love this quilt, and your formula. Definitely a handy thing to keep in mind. Especially if I win these beautiful fabrics! Lovely quilt. I love the small pieces, they really contrast well against the solids. Wow! It just keeps getting better with each post from all of you participating! Gorgeous fabric line that lends itself into so many variations! Jacqui, your quilt is fabulous!!! The nine times tables were always my favorite because I always new that the right answer had to add up to 9. That saved my bacon on many math test. 🙂 Your quilt has all the qualities I love in good quilt design. It showcases the fabrics, it has an interesting sub pattern going on, and it is gorgeous! Thanks for sharing you quilt and for helping Melly get the gorgeous samples made for market. Cheers! I love her fabrics! Any project would be great with them. I’d forgotten that about the nine times table. Fun facts! I love the fabrics! Beautiful colors and patterns! Thanks for this opportunity to win! Never heard of the 9 table trick! Too bad my kids are passed school time! What a fun guest blog message! The 9 patch quilt is adorable! Oh I see a table runner with my turquoise pitcher in the center of it full of flowers and a white milkglass piece with summer plums! Also I see a window curtain, each time I did the dishes it would be a delicious sight to see! PS I can’t wait to see these in person and feel them. I know I will most likely not win, but I will be looking to buy these fabrics as I do see a table runner and curtain in my kitchen! 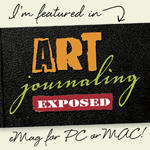 Thanks for the blog hop. I’m enjoying seeing all of the talented people using these fabrics. I love the versatility of the 9 patch block!!! 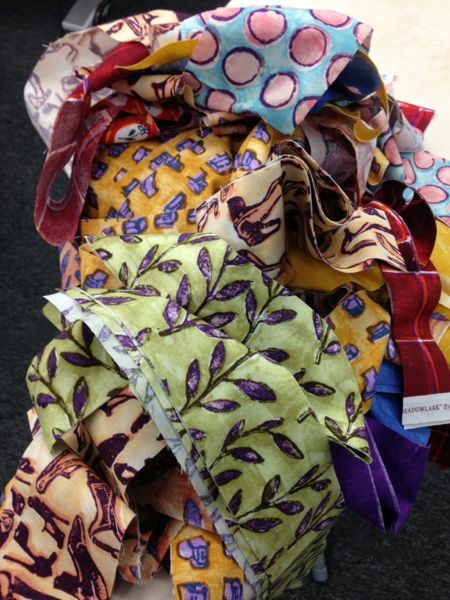 Thanks for sharing in this hop…this is such a beautiful fabric line!! Love the fabrics and love how they look in the quilt. I have seen the other pieces done with the fabrics and there is so much inspiration, would love to work the fabric into a project. Love these quirky fabrics, they’re very cool! Thanks for the chance of winning some. I love this fabric! Your nine patch blocks are perfect for this fabric. This version of the nine patch really does lend itself to Melanie’s wonderful new fabrics. Love that each of you have supported Melanie and the revealing of her new fabric line. Great job! Great quilt Jacqui and good use of the fabrics. I really like what you’ve done with the 9-patch! This fabric line’s color and contrast really lend pop to this version of the classic! 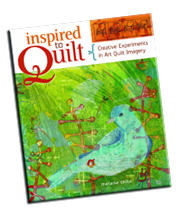 This quilt is gorgeous, I would love to win! I love the nine patch quilt. The fabrics blend nicely, with that added pop of the dark purple at the centre. Love the 9-patch. This fabric is so versatile, so beautiful. Loving the fabrics, the colors, the designs, the texture!! Plus all the inspiration included in this blog hop!!! Love love love Melly’s fabrics! Awesome little quilt and so much fun. Beautiful fabrics: I love the fruit on a purple background. And the tiles! I’ve never seen tiles on fabric before but I think they would look perfect as sashing or border fabric, continuing the mosaic idea. Love the quilt , I am a huge fan of nine patches!, and the fabrics are just FUN and isn’t that what quilting is all about? I would love to whip up a little quilt with the fabrics and yes I see a bit of fussy cutting would be necessary as I love birds on quilts…. thanks! 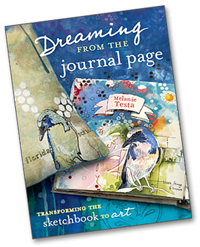 and good luck with the new fabric line and new book! Melly’s fabrics are gorgeous – especially the dots! I love your quilt – what size is it? The fabrics look like SO much FUN. I would love to play with them and look forward to finding out more about the techniques used to create them. Thanks for sharing. Congratulations on your fabric line! It is so interesting and complex – I love it! Your nine patch quilt is so sweet! I think these fabrics are so interesting! I absolutely love your new line of fabrics and look forward to seeing more! Melanie, Your fabric is wonderful, 10 is the perfect number ! I would love to win some of your fabric. It looks like so much fun!! Melanie’s fabrics will be a must have for me, I think they are just wonderful ! Thanks for a chance to win some! Great fabrics! I can’t wait to play with it. When is it coming out or when will it be in shops. Thanks. Each post about these fabulous fabrics makes me love them even more. The nine patch block is my favorite because it is so versatile. 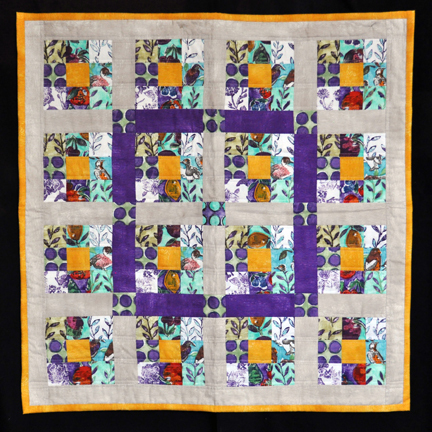 The Meadowlark fabrics translate so well into this nine patch quilt! can’t wait to get my hands on Melanie’s fabric line. Yes, the nine-patch is a great go-to and very versatile pattern! But this fabric would shine in any quilt. Just love it! Can’t wait to get my hands on some. Love the look of your new fabric line! Would love to have some to play with. It’s amazing what great fabric can do for the classic ninepatch! Your quilt looks modern and arty and just awesome! Thanks for sharing! You and your work are an inspiration. A testimony to life. As a 35 year breast canner survivor..i was 27 with a 5, 3 and 1 year old…I can assure you…it takes courage, faith, and a community of loving women surrounding you. You and your work have both. There is so much passion in what you’ve created! I love it! 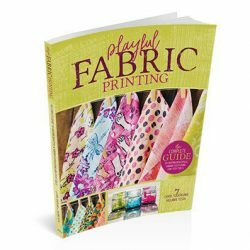 Please let me know how to order…can’t wait to sebe and touch your fabrics firsthand. LOVE these fabrics! Great work! 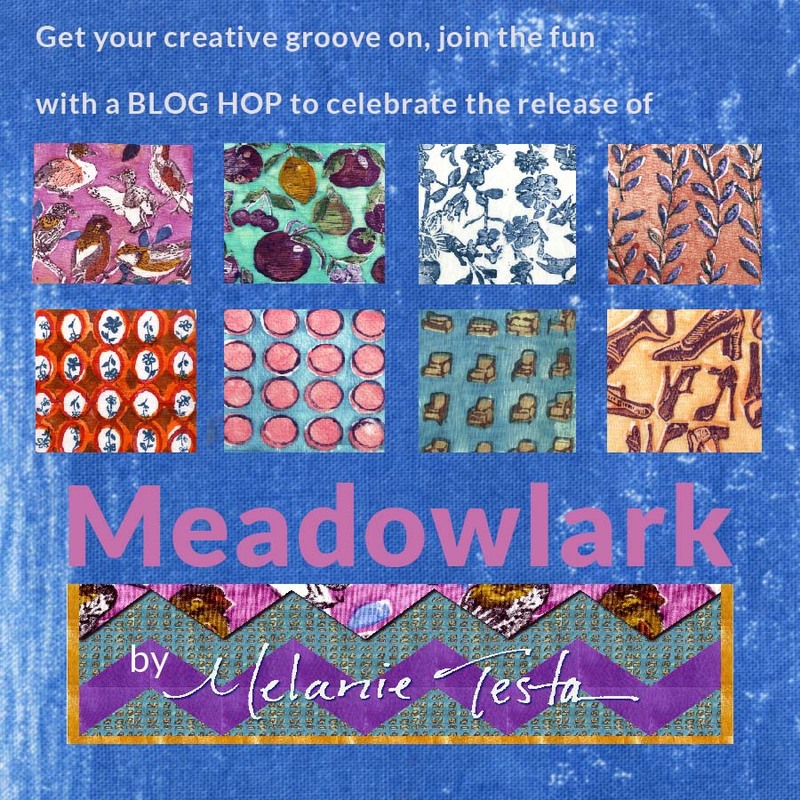 I am loving this blog hop and all the creativity with these gorgeous fabrics!!! Ha…. You already had that, I read through too fast. Anxious for the giveaway I guess. Wow…..such beautiful fabrics….they capture a painterly expressiveness. Love her fabric! Would be fun to play with. Would love to see her book too! !